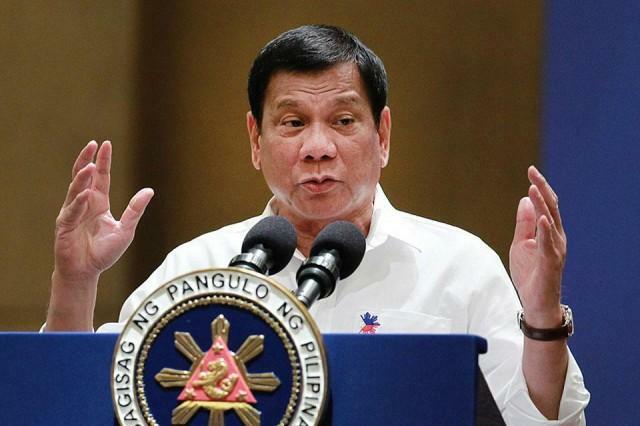 MANILA -- President Rodrigo Duterte’s net trust rating remains “very good” despite an 8-point drop from his 65-percent net trust score last March to 57 percent in the second quarter of 2018, recent survey results show. In the Social Weather Stations (SWS) survey conducted from June 27 to 30, some 70 percent of adult Filipinos had “much trust” for Duterte, 13 percent had “little trust”, and 18 percent were “undecided”. According to the survey released on Friday, the decline in Duterte’s trust rating was due to a decline in the Visayas and Metro Manila, combined with steady scores in Mindanao and Balance Luzon. In Visayas, Duterte’s rating slipped from excellent to good, or down by 21 points from +70 in March to +49 in June this year. In Metro Manila, his rating fell from very good to good, down by 20 points from +62 in March to +42 in the second quarter. Duterte’s rating stayed excellent in Mindanao from +89 in March to +88 in June. It remained very good in Balance Luzon, although down by 3 points from +53 in March to +50 in June. Among severely hungry families, Duterte’s net trust was a good at +40. His rating among moderately hungry families was very good at +54 and his rating among non-hungry families was +57. The Second Quarter 2018 Social Weather Survey findings on the family's experience of hunger were reported by SWS on August 16. Meanwhile, it also showed that in the eight SWS surveys following his inauguration as President, from September 2016 to June 2018, Duterte's net trust rating was excellent in five and very good in three. This gives the Duterte presidency an average net trust rating of a very good +69 so far. The SWS survey was conducted using face-to-face interviews of 1,200 adults (18 years old and above) nationwide: 300 each in Metro Manila, Balance Luzon, Visayas, and Mindanao.